Details This British Quad cinema poster came from the Godiva cinema and features glorious full colour artwork of Charlton Heston with Ava Gardner. 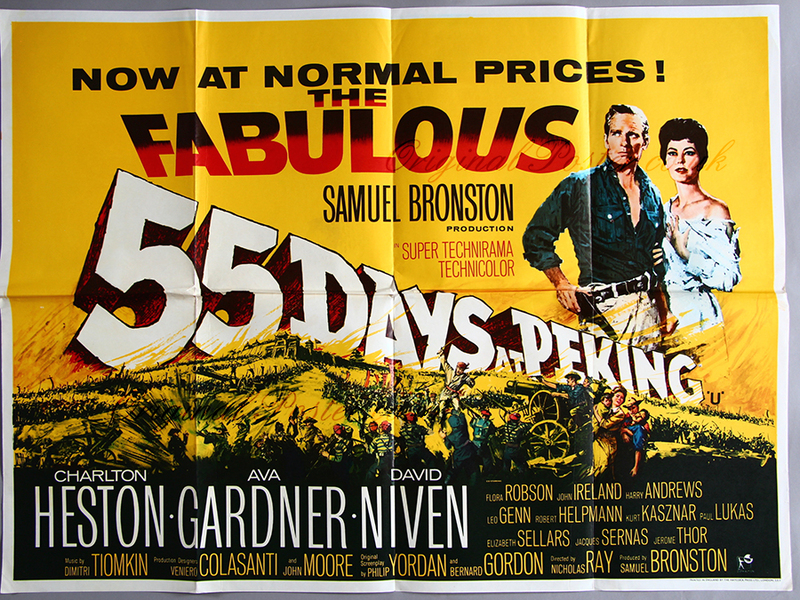 With the Peking landscape which cost a fortune with the set creations for this 1963 epic. This cinema release film poster was to advertise a reduction in prices after the initial premier price first release. Printed in England by the Haycock press ltd of London.